How often should Kabam release new characters? 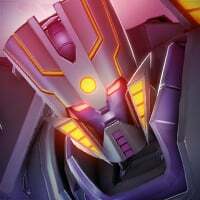 With a plethora to choose from, ranging from G1 to Combiner Wars to Movieverse to Beast Wars/Machines to comics and on and on, how often do you think Kabam should release new bots? I don't want to play this game to chase characters as with other games, but I was hoping that Kabam would release them on a higher frequency. So how often do you think Kabam should release new bots? I already made a Poll for that. Please, after answering in this Discussion, also go and answer it in my new Poll: "How often should Kabam release new Bots?"